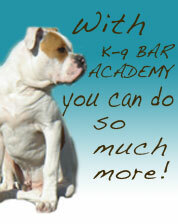 At K9 BAR Academy, our goal is to improve the relationship between owner and dog. This is achieved by educating the owner and providing quality professional training. We teach owners how to effectively communicate with their canine friend and how to apply their new skills in practical every day situations. What sets us apart is the vast experience and education of our trainers. All Trainers work with your dog giving him/her a vast generalization of people and world. Our trainers understand how dogs learn and use scientifically proven principles of canine behavior to achieve results. 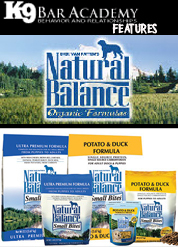 Nothing makes us happier than seeing owners have success with their dogs, which is what we strive to do. 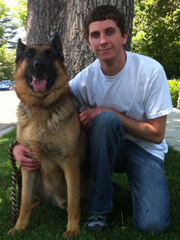 Anthony has been working with dogs at the age of ten and has been a professional dog trainer for over 30 years. He started K9 BAR Academy in 1991. The word "BAR" stands for Behavior And Relationships. He graduated from Cal-Poly San Luis Obispo with a Bachelor of Science. He then went on to study animal science at Moorpark College. He is also a graduate of the prestigious Triple Crown Dog Academy where he became a Certified Professional Canine Trainer and Behavior Specialist. Anthony has certified certificates in puppy obedience to advanced dog obedience, along with extensive experience in dog aggression, Canine Good Citizen Trainer and Evaluator (CGC), Agility Trainer, Canine Protection Trainer, Animal Film Tricks and Show Trainer, Search and Rescue Trainer (SAR), and Services Animal Trainer; specializing in signal dogs for the deaf and Therapy Services Animals. 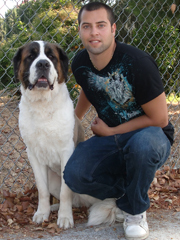 His vast knowledge of canine behavior has enabled him to achieve great success with his clients. Erin has been handling dogs for most of her life. Erin graduated from Humboldt State University with two Bachelor of Science Degrees, the first in Zoology and the other in Environmental Biology. In addition, Erin graduated from the well know Triple Crown Dog Academy where she became a Certified Professional Canine Trainer and Behavior Specialist and also holds a Certificate in Police K-9 Training. 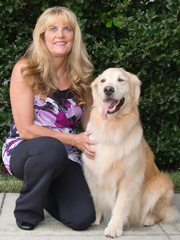 Personally, Erin has diligently worked training dogs for obedience, handicap service, Police K-9, agility, Canine Good Citizen, trick training, search and rescue, scent discrimination, and aggressive behavior modification. "What I enjoy most about training dogs is hearing people say, "I didn't think my dog COULD do that!". Also, helping people set and achieve the goals they have for themselves and their dog. A well trained dog makes a happy dog, a happy owner, and a happy home." 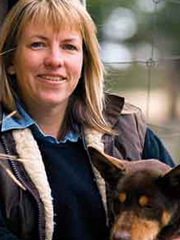 Rachael Price is a Los Angeles breeder and trainer of working dogs. For the past eight years Rachael has facilitated working dog education schools in Montana and during the winter months she works part time as a Search and Rescue dog handler. Rachael strongly believes that there is huge demand for information on dog handling, whether in the city or country, and she wants to share the huge gains she has discovered, both economically and emotionally in valuing working dogs more and in lifting the standard of livestock handling. 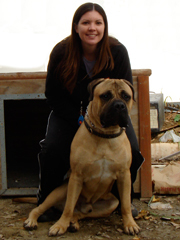 Erica Kelly is one of our Senior Kennel Technicians and Prep K9 trainers. Among her other duties, she also prepares morning meals and administers meds. She has built many positive relationships with the dogs and their owners. Marino's family has always been involved with dogs. Marino began his pet care experience before he was 8 years old. He used to look after Anthony's dogs as well as neighbors dogs, cats, and birds. Marino is one of our Kennel Technicians and Prep K9 trainers. He continues to work with Anthony and The K9 BAR Academy Team.